Last night was Ian Desmond bobblehead night at Nationals Park. 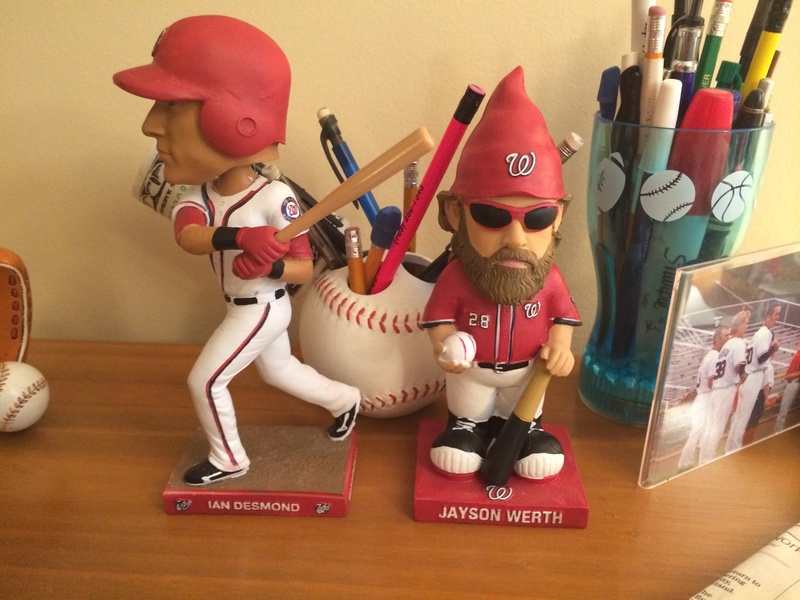 As I stated in my post about the Jayson Werth Garden Gnome, I’m not one of those crazy, die-hard bobblehead fans. However, that Garden Gnome may have converted me. I found myself desiring a bobblehead of my favorite baseball player, which lead me to 1500 South Capitol Street on Thursday afternoon. While I was not first in line for this one, I did receive one nonetheless. In deciding whether to attend the game or not, I was slightly hesitant. 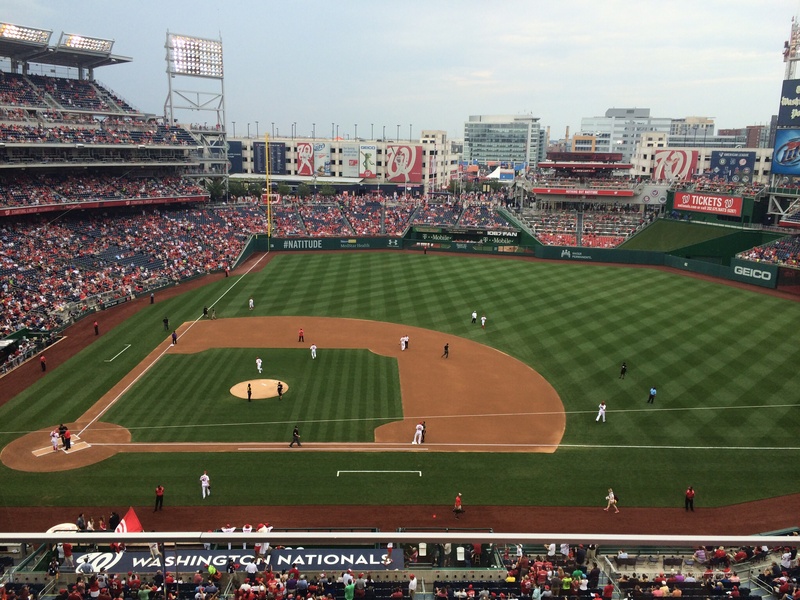 I had not seen a win at Nationals Park since Jordan Zimmermann’s complete game two hitter against the Marlins last season, and the Nationals were in the midst of an outstanding nine game winning streak. I figured my presence at the game obviously wasn’t going to affect on-field performance and I thought it would be pretty neat to say I was at the Nats’ 10th win in a row. Gio Gonzalez pitched the last game I attended but had a much more solid outing this time around. He threw 7 full innings while not allowing a run and striking out six along the way. He only yielded four hits and three walks, an encouraging sign of hopefully similar outings to come in the near future. The story of the game early and throughout the entire contest for the Nationals was runners left on base. It seemed that everytime the Nats would find themselves with an opportunity to score, they would also find a way not to score. In fact, as Adam Kilgore tweeted, through 7 innings the Nats had eight hits and six walks (i.e. lots of baserunners). However, at that same point in time they were 0 for 11 with Runners in Scoring Position, and had left eight runners stranded. Had the Nats gone on to lose the game, I’m sure that would have been a more prevalent topic in Matt Williams’ post-game press conference. The Nationals’ defense though backed up their pitching. Behind multiple double plays, the game was scoreless entering the 9th inning. If the Nationals were to extend their winning streak it would come via the walk off. But what’s new? 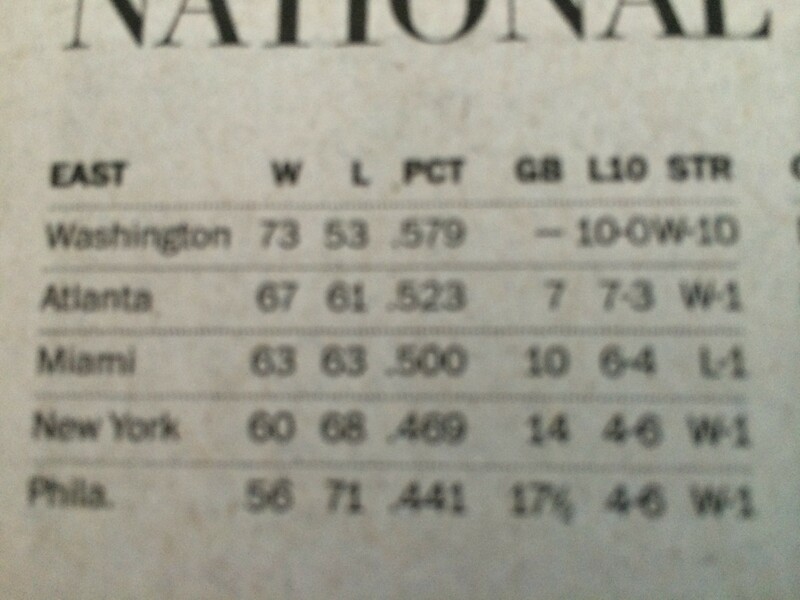 The Nats had walked off four of the last five days, so why not make it five of the past six? A side-note, I had never seen a Major League walk-off in person before even after all my years of attending games. I guess it was the magic in the air, but I could sense something was brewing in the bottom of the ninth that might put that streak to an end. With one out in the bottom of the ninth inning, Denard Span notched his second hit of the ballgame. Upon reaching first base, Mark Trumbo, the Diamondbacks’ first baseman, said to Span, “Just how you guys like it (referring to now possibly winning on a walk-off).” After waiting patiently and analyzing the quick-delivery of Arizona’s pitcher, Evan Marshall, Span stole second base. He picked a perfect pitch to steal too; a slider, giving him that extra time to slide in and beat the tag. Span was now in scoring position and it was a question of whether Rendon would come through. I had my camera recording for what I hoped would be that elusive walk-off I had yet to see in person. Rendon connected and hit a ground ball to the third basemen, and it’s Arizona’s third basemen Jordan Pacheco whom Nats fans should thank. He made an errant throw to first, and when Trumbo failed to scoop it, the ball bounced into the Nationals dugout. The ball was out of play and by rule Denard Span was allowed to score. The Nationals were now the owners of a 10 game winning streak; only the second time they have accomplished this since returning to the District in 2005. The Nationals had walked off for the fifth time in six days. I had witnessed my first Major League walk-off. 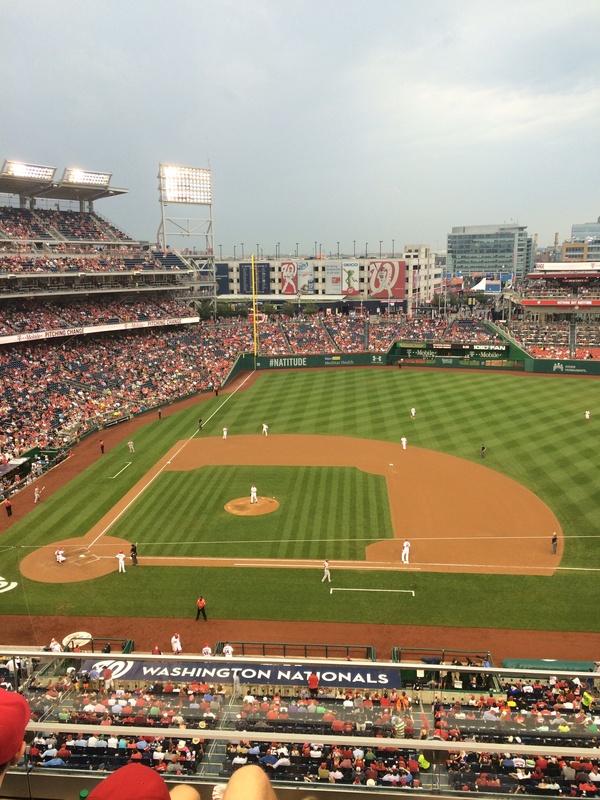 My losing streak at Nationals Park was over. I got my favorite player’s bobblehead. I captured the walk-off on video, which you can see below. Needless to say, it was a good day.